As this edition of the Pellet Wire is being distributed the Pellet Fuels Institute board of directors will be convening in Indianapolis.Our board chairman, Don Wagner, and I have been working on, discussing, and planning our agenda for over two months. In advance of this meeting, Don asked every board member to prepare a short list (no more than three) of priorities that they feel were the most important for the PFI to concern itself with. Our goal is to reach as close to a broad consensus within the board on three strategic imperatives that we set our association’s efforts towards. While I’m going to allow the discussion and debate to unfold before sharing the top 3, I am happy to report that promoting the pellet option is the clear front-runner. This has been the organization’s mantra since about February and formed the basis of what we talked about in Nashville at the HBPExpo. Our members have universally embraced the idea that without more stove sales, the market opportunity for wood pellet producers is unlikely to increase. Yes, the BBQ market is boosting demand grill by grill, but simple bar napkin math shows that one stove sale is as good as over 30 grill sales in terms of pellet demand generated. Placing this priority at the top of our list is the easy part. Developing a tactical strategy, enlisting industry partners (appliance manufacturers, retailers) and building an operating budget that puts some arrows in our quiver is where the work comes in and again we’re just talking about our top and least controversial priority. Still, this is our mandate. My goal is to work with the board to identify three priorities that we are confident we’ll be able to hang our hats on even five years from now and drive into the operation of our association at every level. These priorities should inform how I spend my time, what our committees spend their time on, what we discuss when we gather, who our strategic partners are and what we need and want from them. These priorities should resonate strongly not only with our current members, but also those wood pellet producers out there serving the domestic market who are not currently participating members. I’d like to close by thanking our board for joining me in Indianapolis. Anyone working in this space knows this is a busy time of year and I’m humbled by everyone’s commitment to being there. 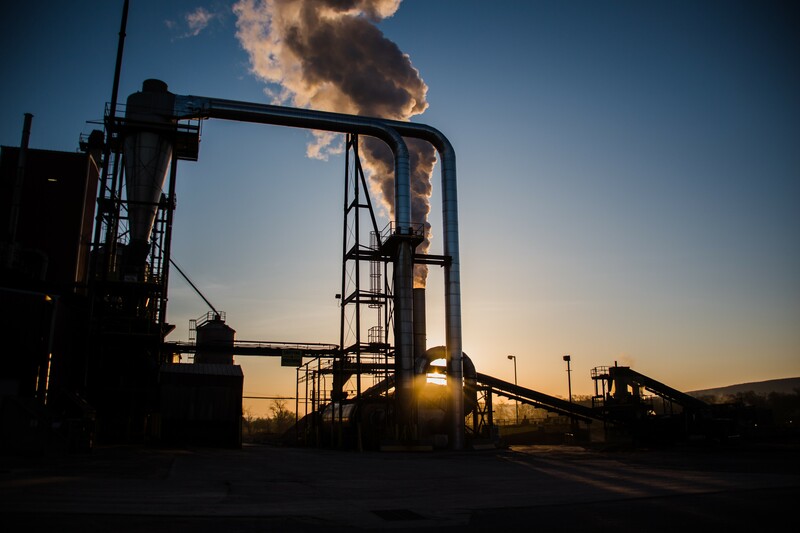 We're building a collection of photos of our members, their pellets mills and product. Send them to Carrie Annand at [email protected]. This week’s featured photo is from Kenny Lisle with Energex. A carbon-neutral wood pellet boiler will soon provide heat for students and staff at a school in Northport, thanks to a bioenergy pilot project supported by the Washington State Department of Natural Resources (DNR), the Washington State Department of Commerce, and the Washington State University Energy Program. The project on Northport's preschool-through-12th-grade campus is the first time the state has funded the installation of a wood pellet boiler in a public building and is part of a larger effort to promote the wood-energy industry in Washington. Supporting the bioenergy industry is a component of DNR’s 20-Year Forest Health Strategic Plan, which aims to restore 1.25 million acres of unhealthy forests in Washington. In addition to taking actions to increase forest health and decrease the risk of catastrophic wildfires, the plan calls for using forest restoration and management strategies as an economic catalyst in rural communities, such as turning wood byproducts into pellets. The Maine Department of Agriculture, Conservation and Forestry’s Maine Forest Service recently released a report documenting the economic and environmental benefits of heating community, commercial and institutional buildings with modern wood chip and wood pellet technology and fuels produced in Maine. The falling temperatures mean many Mainers are scrambling to get vital resources to heat their homes, and firewood suppliers are scrambling to meet that demand. Wait times and prices for fire-ready wood are climbing. Debbie Potter, owner of Readfield-based Potter Family Firewood, said Friday that her business is done selling wood for the season – that’s weeks sooner than usual, as they typically stop in November. She said she has seen a rise in demand in the past couple of years, but her set number of customers are all squared away for cold weather.